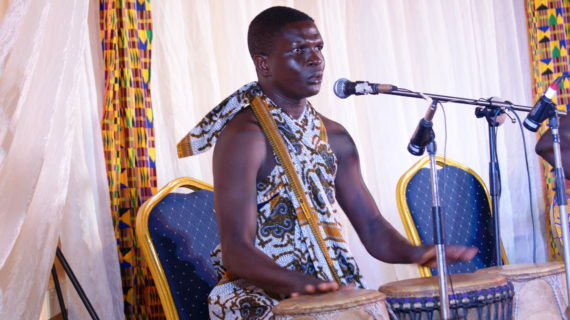 Veteran palm wine music exponent Agya Koo Nimo, recently delighted an enthusiastic audience at the Ghana Academy of Arts and Sciences in Accra with steady rhythms, light percussion and songs that continuously flowed at an upbeat pace. 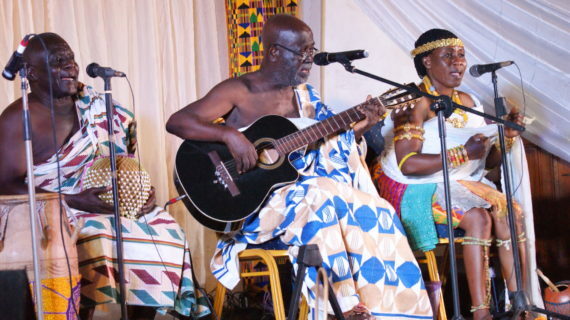 Performing at the launch of “To Wo Ho Fo”, a seven track album by Kwan Pa Band, the 86 year old living legend and his Adadam Agofomma Band charmed the audience with relaxed and calming music that revealed the richness of traditional Ghanaian melodies. 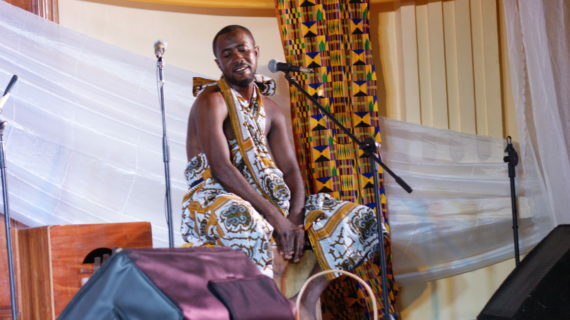 Full of energy, Koo Nimo was in Accra from his Kumasi base to offer support to Kwan Pa, a group that has taken on the challenge to preserve, develop and promote traditional Ghanaian and African music, which has taken the world music scene by storm in the past several years. 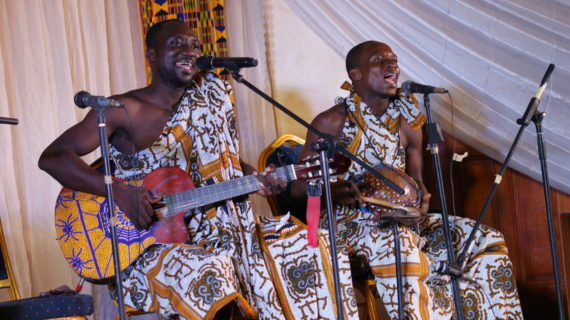 Employing traditional instruments such as seperewa (harp lute), frikyiwa (castanet), dawuta (twin bell), shekere (rattle), gome (square bass drum), kpanlogo drums and an acoustic guitar, the group entertained the audience with tracks from the album that recall the skills of their elders, who propagated this type of music in the early 20th century. 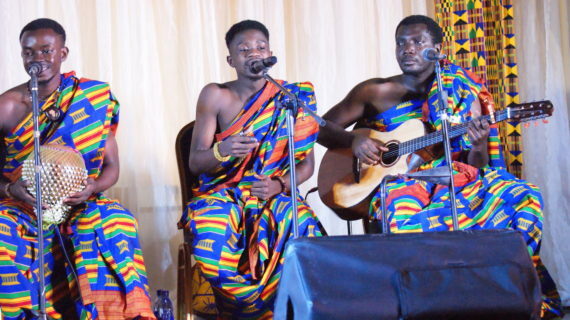 Led by Andrew Nkansah Asa, Kwan Pa Band, which shot to fame in December 2018 with a localized version of “Five Gold Rings” by Murgatroyd/Burrell, descended into their own world and thrilled the crowd with their version of traditional Ghanaian music, which is partially geared in the direction of palm wine highlife. 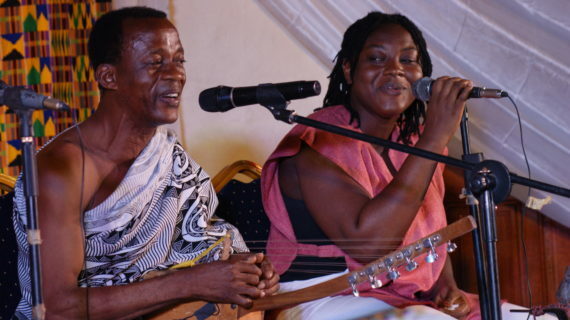 With Frederick Minamor (kpanlogo drums, vocals), Isaac Kojo Baah (Shekere, Dawuta, vocals), Bismark Kwabena Safo (gome, vocals), Andrew Nkansah Asa (guitar, vocals), the album is full of compositions that send us back into the past and forward into the future through an effective use of melodic and rhythmic structures of Akan traditional music. 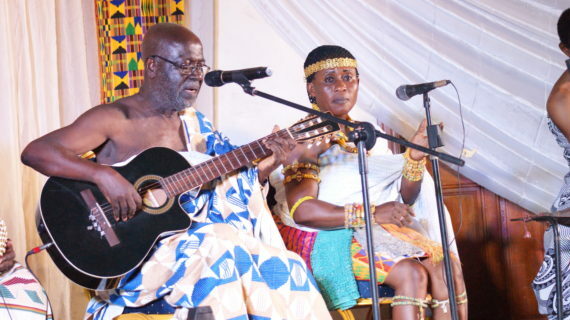 Earlier, seperewa virtuoso Osei Korankye together with singer Ewura Ama Agyepong and guitarist Dr. Corlter Harter, a visiting academic from the University of Pittsburg (USA) entertained the crowd with a number of compositions by Korankye, which equally revealed the effectiveness of cross cultural collaboration. 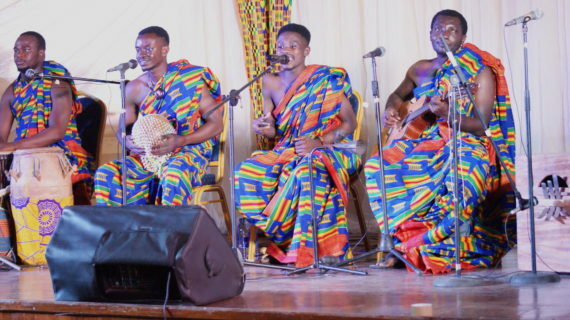 Comprising students of the Music Department, University of Ghana, the Legon Palm Wine Band delighted the audience with diverse compositions that spanned several decades while reminding the crowd of the beauty, diversity and power of traditional rhythms. 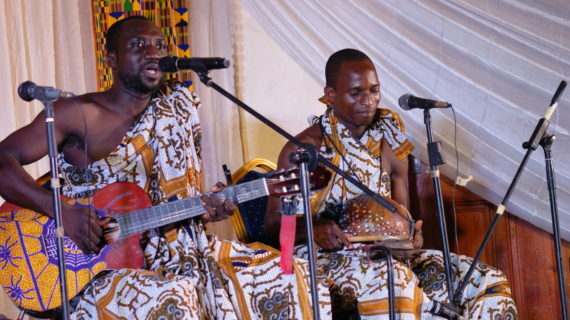 “To Wo Ho Fo” was recorded at Sawnd Factory Studios in Accra with Ernest O-Poku and Samuel Nana as engineers. This is an in-depth well written story/article with attention to detail. Bravo,bro.